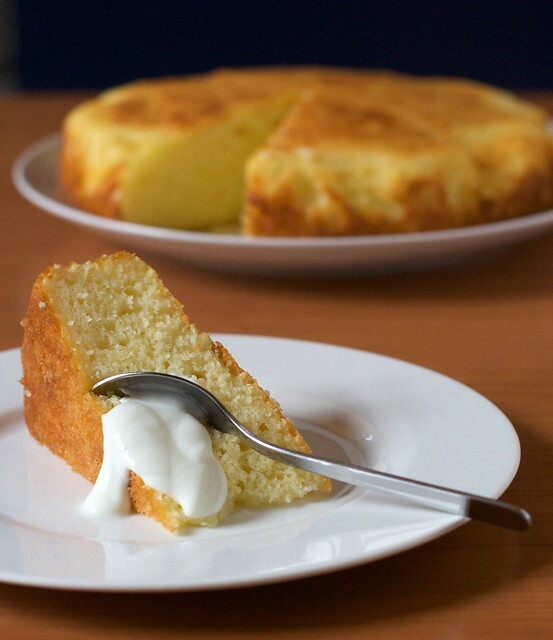 Inspired by Clotilde, this is my own version of her yogurt cake, with few added ingredients and baked many many times. Mix all the wet ingredients: yogurt, ricotta, eggs and melted butter. Add the dry ingredients (sugar, flour and yeast) and mix leaving few lumps. Pour the mixture in a 24 cm cake tin covered with parchment. You can add extra flavor to this cake, adding, before baking, apples, pears, or any seasonal fruit, chocolate chips. You can use only yogurt (350 g in total) or invert ricotta and yogurt proportion (250 g ricotta, 100 g yogurt).